Dust busters to the rescue! 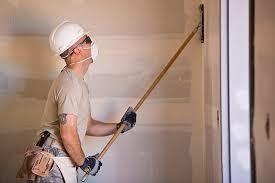 Masking: This is very important.The best Seattle Drywall Contractor know's that there will be spills. So we mask everything so the spills leave with us. Mixing Mudd: A lot of the times mudd is mixed up real thin and is really easy to get out of control. Our team is trained in proper mixing techniques so our batter is just right. Clean up: After a day of hard our crew members take 30 min on average to clean up our job site so you can move around safely. ​We work hard to keep You, the customer in mind throughout the whole process and work hard to earn your respect and future business.